The largest city in the Pacific Northwest and the seat of King County, Washington, Seattle is one of the most prominent cultural and business centers in the United States of America. 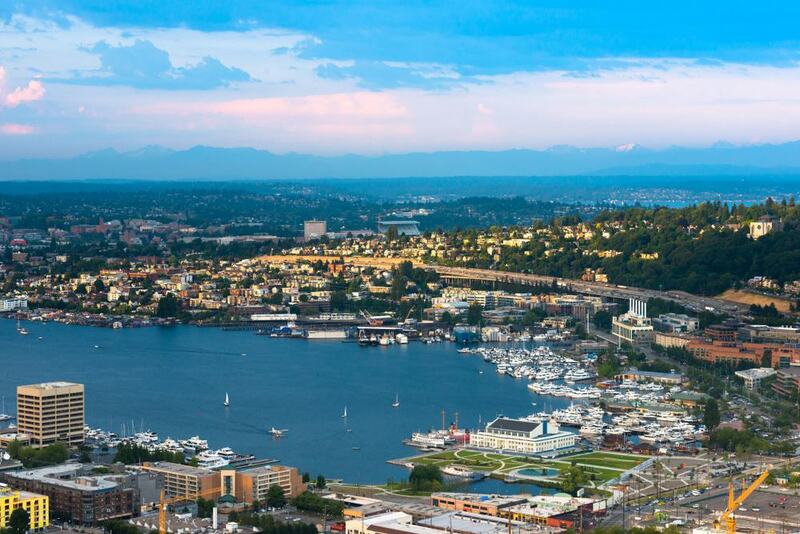 Dubbed as the “Emerald City,” Seattle is nestled between Puget Sound and Lake Washington, with magnificent views of the Cascade Mountains to its east and the Olympic Mountains to its west. The Space Needle, known to be one of the most iconic structures in the US, is a prime attraction in the downtown area. Home of several famous businesses, an excellent park system, a lively arts and music scene, and the University of Washington, Seattle is visited by several tourists from all over the globe each year, a lot of whom come here to attend the many annual festivals that the city is famous for, including the 24-day Seattle International Film Festival and the Bite of Seattle (among the largest gay pride festival in the country). Let us now discover the popular neighborhoods in the city so you could effortlessly plan where to stay in Seattle during your visit. Often considered the city’s first unofficial neighborhood, Pioneer Square is a perfect combination of history meets the new century. Known for its interesting architecture and a vibrant nightlife, the neighborhood was home to some of the earliest settlers of Seattle. To truly understand the history of the city, an underground tour of Pioneer Square is highly recommended. During the tour, you will also be able to visit the remnants of a few structures that were obscured during the great fire of 1889. The Klondike Gold Rush National Historical Park, the smallest park in the country, is where you could educate yourself about the city’s role in the 1890s gold rush. Other Highlights: UPS Waterfall Garden Park, Occidental Square, Union Station Square, Bill Speidel’s Underground Tour, and Smith Tower. Best Western Plus Pioneer Square Hotel – A few minutes’ walking distance from the city’s waterfront, this elegant hotel offers well-appointed guestrooms with extra-large double beds, safety deposit box, flat-screen TV, a coffee machine, and a private bathroom. A complimentary breakfast is served daily. Suitable for all kinds of travelers. Courtyard Seattle Downtown / Pioneer Square – Set in the heart of the historic downtown area, Courtyard Seattle Downtown offers fully-furnished guestrooms with facilities such as extra-large double bed, tea/coffee maker, flat-screen TV with pay-per-view channels, free Wi-Fi, iPod dock, and an ensuite bathroom. The property also houses an indoor pool, a fitness center, and a fully-equipped bar. Perfect for solo travelers, couples, and small families. Silver Cloud Hotel – Seattle Stadium – Featuring a brilliant rooftop pool overlooking Elliot Bay, a hot tub, a fitness center, and an upscale restaurant, Silver Cloud Hotel Seattle Stadium offers comfortable guestrooms with air-conditioning, tea/coffee maker, flat-screen TV with pay-per-view channels, wake-up service, and an ensuite bathroom with free toiletries. Great for all kinds of travelers. Once filled with wooden structures, steeper hills, and a sawmill, the Seattle Downtown neighborhood looks drastically different than it did a long time ago. Today, it is a great place to live, hang out, and explore the many iconic structures in the city. Encircled by Capitol Hill, Queen Anne, Pioneer Square and Elliot Bay, this neighborhood is perhaps the busiest area in the city. 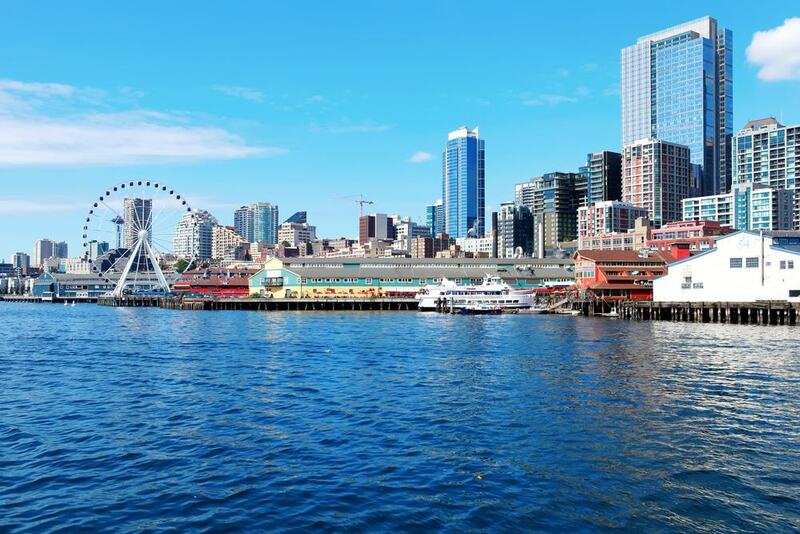 There is something here for everyone – for culture lovers, there is the Seattle Arts Museum, for shopaholics, there is the Pacific Place, and if you are up for something totally touristy, take a cruise or spend the day at the waterfront. Additionally, being the hub of the city’s transport system, it is extremely convenient to travel to and from the neighborhood. Other Highlights: Central Library, Bay Pavilion on Pier 57, Seattle Aquarium, Washington Convention and Trade Center, Columbia Center, and the Paramount Theatre. The Paramount Hotel – Less than 5 minutes’ walking distance from the Paramount Theatre and Washington State Convention Center, the Paramount Hotel features luxurious guestrooms with cozy double beds, flat-screen TV with cable and pay-per-view channels, safety deposit box, tea/coffee maker, and ensuite bathroom with free toiletries. The property also houses a fitness center, a business center, and a restaurant. Suitable for all kinds of travelers. Hyatt House Seattle Downtown – Just across the famous Space Needle, Hyatt House Seattle Downtown is a lavish hotel with opulent guestrooms, state-of-the-art facilities, complimentary Wi-Fi throughout the property, on-site dining facility, a fully-equipped fitness center, a full-service bar, and a mini market. A complimentary breakfast and a free shuttle service to nearby locations are offered daily. Perfect for all kinds of luxury travelers. The Mediterranean Inn – The wonderfully-decorated guestrooms at the Mediterranean Inn feature comfy double beds, free Wi-Fi, tea/coffee maker, flat-screen TV with satellite channels, and ensuite bathroom with free toiletries. The rooftop patio at the property offers panoramic views of the Seattle skyline along with amazing vistas of the Elliot Bay and Mount Rainier. Great for all kinds of travelers. A largely urban space and one of the most populated neighborhoods in Seattle, Capitol Hill is lively, fast-paced, and hip. While the days are reserved for shopping and strolling, the nights essentially require a visit to one of the many cool bars and clubs scattered around the neighborhood. Considered the core of Seattle’s LGBT community, Capitol Hill is culturally diverse and is filled with many art establishments and creative organizations. Once frequented by grunge musicians such as Kurt Cobain, the neighborhood is at the heart of Seattle’s music scene. Pike/Pine corridor, Broadway, and 12th Ave E are great places for shopping, wining-and-dining, and even partying. Other Highlights: Seattle Asian Art Museum, Lakeview Cemetery, Volunteer Park, Jimi Hendrix statue, Seattle Japanese Garden, and Madison Park. Bacon Mansion Bed and Breakfast – Set within a historic building established in 1909, this massive hotel comprises beautifully customized guestrooms with Venetian blinds, patio, cotton robes, closet, flat-screen TV with cable, and ensuite bathroom with free toiletries. A complimentary continental breakfast is served daily. Great for all kinds of travelers, including big groups of up to 6 members. Mozart Guest House Seattle Bed and Breakfast – Within 5 minutes’ walking distance from Volunteer Park, this cozy bed and breakfast offers well-furnished guestrooms with comfortable double beds, free Wi-Fi, ironing facilities, TV with cable and satellite channels, and ensuite bathroom with free toiletries. Guests can also enjoy the library and the common area with a fireplace. A complimentary breakfast is served daily. Suitable for solo travelers and couples. 11th Avenue Inn Bed and Breakfast – Featuring classy, antique furniture, the guestrooms at 11th Avenue Inn Bed and Breakfast offer well-appointed guestrooms with comfy double beds, hardwood/parquet floor, free Wi-Fi, and ensuite bathroom with free toiletries. A complimentary breakfast is served daily. Great for solo travelers, couples, and small families. 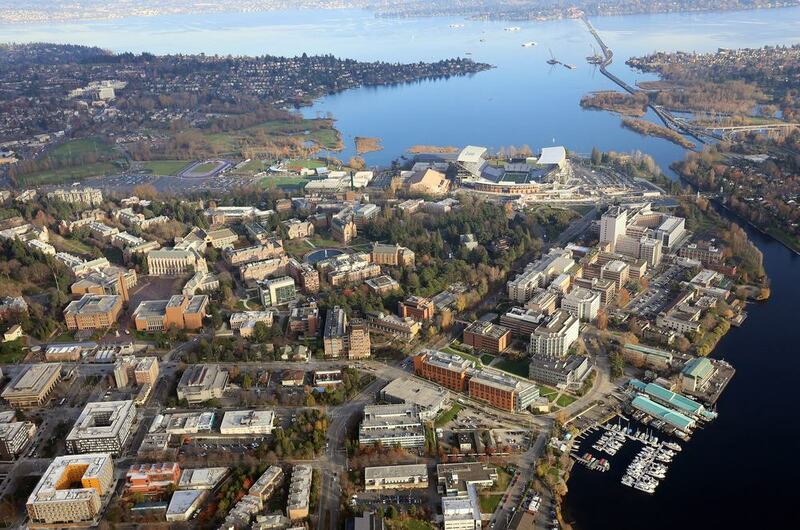 Named after the highly-illustrious University of Washington, the University District or U-district is where you will find the twenty-something crowd of Seattle. Due to the many foreign and national students in the neighborhood, U-district has a distinctive vibe that makes it feel like a “city within a city.” University Village Shopping Center is the neighborhood’s main shopping avenue with endless stores, several quirky bars, and ever-changing eateries. If you plan to come here in May, don’t miss the U-District Street Fair, an annual event that honors the country fair as well as urban retailers in a celebration involving live bands, food stalls, local crafts, and a lot of fun. While you’re here, why not catch a show at the historic Sundance Cinema? Other Highlights: Suzzallo Library, University Farmers Market (Saturday mornings), UW campus, Burke Museum, University Theatre, and The Henry Art Gallery. Staypineapple at University Inn – Just 4 blocks from the revered University of Washington, this stylish hotel offers comfortable guestrooms with cozy double beds, air-conditioning, free Wi-Fi, safety deposit box, ironing facilities, and ensuite bathroom with free toiletries. Additional facilities at the hotel include a seasonal outdoor pool, an on-site café, parking facility, and free shuttle service in and around the area. Perfect for all kinds of travelers. Silver Cloud Hotel – Seattle University of Washington District – Half a mile from the University of Washington, this elegant hotel features wonderfully decorated guestrooms with an extra-large double bed, tea/coffee maker, refrigerator, laptop safe, free Wi-Fi, and a private bathroom with free toiletries. A complimentary continental breakfast is served daily. Great for all kinds of travelers. University Motel Suites – Featuring free Wi-Fi, spacious apartment-style rooms with fully-equipped kitchen, free parking, and a launderette, University Motel Suites is a short drive away from the University of Washington and the University Village Shopping Center. The rooms here also include a private dining area, TV with premium channels, and an ensuite bathroom. Suitable for all kinds of travelers. The neighborhood of Belltown is characterized by its upscale condos, fashion boutiques, and a glamorous nightlife. 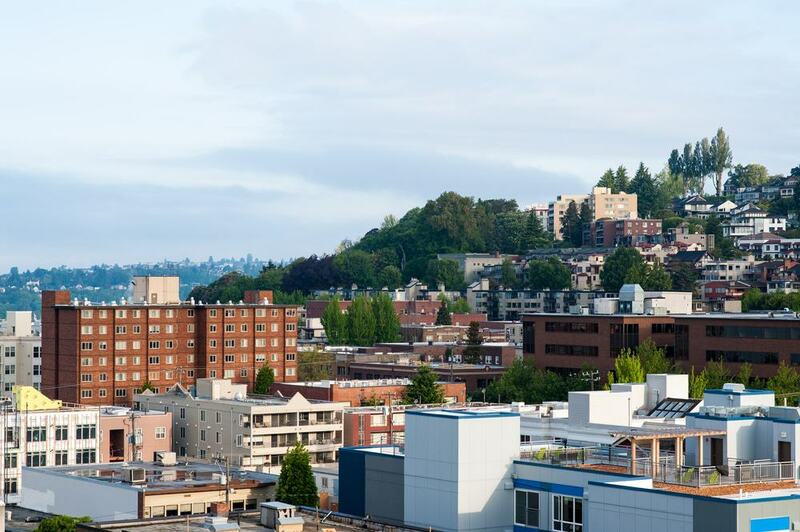 One of the coolest neighborhoods in Seattle, Belltown is regarded as the second-best walkable area in the city which imply that you can almost explore the entire area without ever needing transportation. 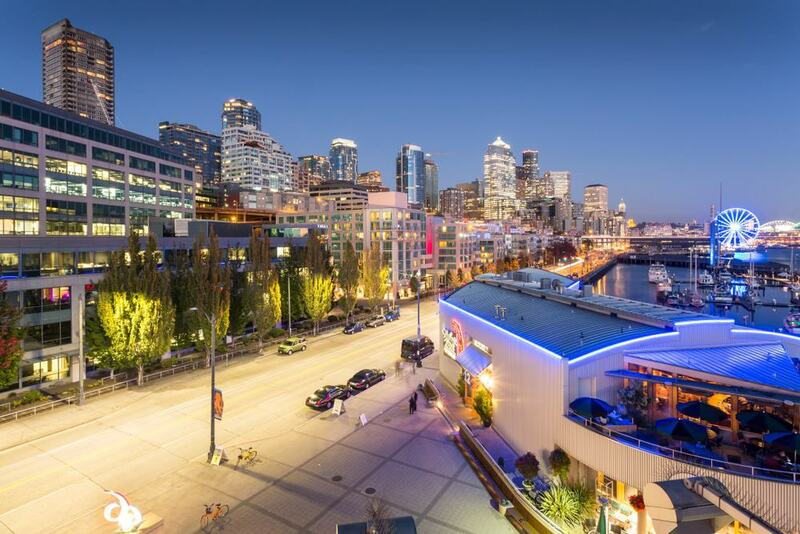 1st Avenue is the main attraction in Belltown – parallel to the waterfront and on into the downtown neighborhood, this stretch is dotted with art galleries, home improvement stores, salons, fashion stores, and countless wining-and-dining options. A show at the historic Cinerama Theatres is a must if you wish to experience something totally vintage. For a night out in the neighborhood, attend a rock concert at the Crocodile. Other Highlights: Olympic Sculpture Park, Pier 66, Westlake Park, Moore Theatre, and Denny Park. Belltown Inn – A gentle stroll away from Olympic Sculpture Park, Belltown Inn features well-appointed guestrooms with large double beds, a kitchenette, wardrobe/closet, outdoor furniture, safety deposit box, flat-screen TV with cable channels, and ensuite bathroom with free toiletries. The property also houses a 24-hour reception, a business center, a fully-furnished rooftop terrace, and a launderette. Suitable for solo travelers and couples. The Loyal Inn Seattle – A few hundred meters from the Space Needle, the Loyal Inn Seattle offers luxurious guestrooms fitted with comfy extra-large double beds, free Wi-Fi, flat-screen TV, safety deposit box, private entrance, wardrobe/closet, and an ensuite bathroom with free toiletries. A complimentary continental breakfast is served daily. Perfect for all kinds of travelers. The Westin Seattle – Located within a few minutes of the 5th Avenue Theatre and the Washington State Convention Center, the Westin Seattle is a lavish hotel with fully-furnished guestrooms, a 24-hour fitness center, in-room spa facilities, a self-service business center, an indoor pool, and on-site dining. The monorail is just 5 minutes’ walking distance from the property. Great for all kinds of travelers. Comprising Lower Queen Anne, East Queen Anne, West Queen Anne, and North Queen Anne, the neighborhood of Queen Anne, along with Seattle Center, is a mix of wealthy residential structures and many industrial establishments. Home of the Monorail and the iconic Space Needle building, the neighborhood is among the newest developed areas of the city. 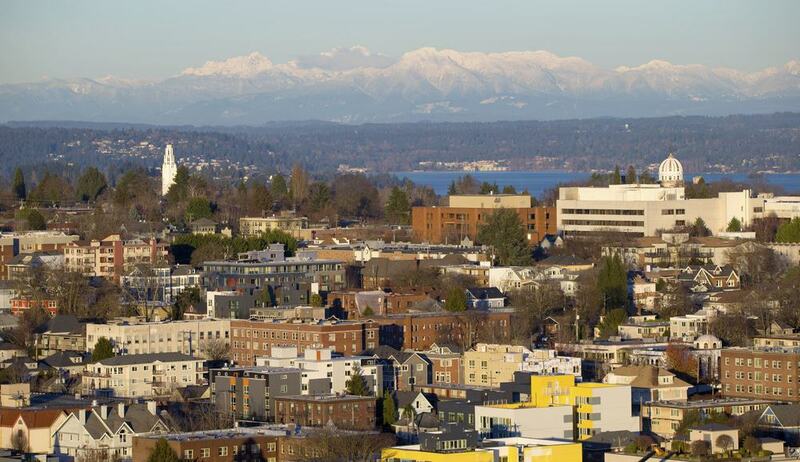 Set atop a steep hill, the area is also home to the famous Seattle Pacific University. Queen Anne plays host to many prominent celebrations in the city, including the Bumbershoot, the Seattle Storm, and the Bite of Seattle. The area is also home to several cool bars and restaurants, including a few karaoke and sports-themed bars. When here, you absolutely can’t miss a view of the Seattle Skyline from Kerry Park. Good for: All kinds of travelers, especially the young. Other Highlights: Pacific Science Center, Science Fiction Museum, The Children’s Museum, Seattle, Kinnear Park, and Discovery Park. MarQueen Hotel – Set in the heart of Queen Anne district, this historic hotel features graceful rooms with extra-large double beds, tea/coffee maker, minibar, kitchenette, cable TV, free Wi-Fi, and ensuite bathroom with free toiletries. Additional facilities at the hotel include a business center, a salon, a bar and bakery, an on-site restaurant and lounge, and a full-service spa. Suitable for all kinds of travelers, including big groups of 5 members. Inn at Queen Anne – Featuring an English-style garden courtyard, Inn at Queen Anne offers well-designed guestrooms with comfy beds, free Wi-Fi, kitchenette, microwave, ironing facilities, TV with cable channels, and ensuite bathroom with free toiletries and a bath. Extra amenities at the hotel include a business center, dry cleaning, a concierge, and laundry service. Perfect for all kinds of travelers. Staypineapple at The Maxwell Hotel – A stone’s throw away from the Space Needle, this neatly-designed hotel offers comfortable guestrooms with avant-garde facilities, colorful interiors with original artworks, a fitness center, an indoor pool, an espresso stand, a fully-stocked bar, and a business center. Bicycle rental is also available at the property. Great for all kinds of travelers, including big groups of up to 6 members. Other Highlights: Waterfront Park, Seattle Aquarium, Benaroya Hall, Seattle Art Museum, Pier 62 and 63, and Seattle Great Wheel. Thompson Seattle – With spectacular views of the city and the surrounding waters, Thompson Seattle features lavish guestrooms with extra-large double beds, flat-screen TV with pay-per-view channels, safety deposit box, telephone, iPod dock, and ensuite bathroom with free toiletries. Guests can also enjoy free Wi-Fi and the on-site bar. 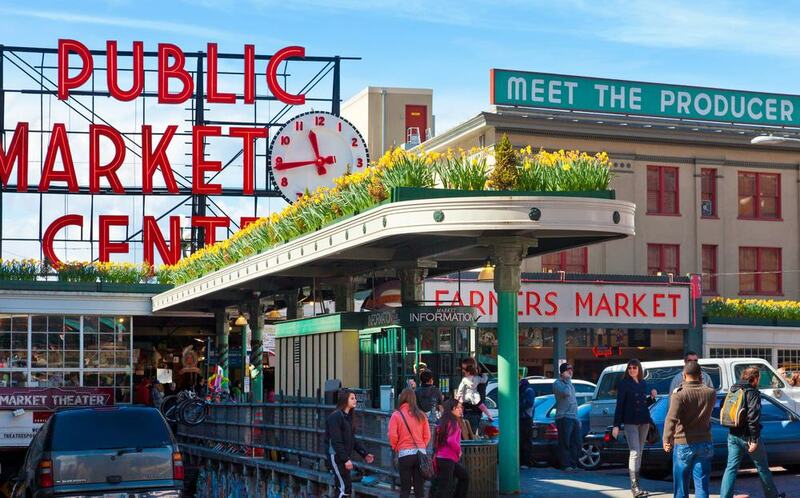 Pike Place Market is within a couple of hundred meters from the hotel. Great for all kinds of travelers. Kimpton Palladian Hotel – A gentle stroll away from Pike Place Market, this plush hotel offers guestrooms with modern facilities such as air-conditioning, flat-screen TV with pay-per-view channels, telephone, safety deposit box, wardrobe/closet, and ensuite bathroom with free Bigelow bath products. Guests can enjoy the daily evening wine hour as well as the on-site restaurant. Suitable for all kinds of luxury travelers. Pike Place Apartel – A couple of hundred meters from the famous Pike Place Market, Pike Place Apartel features fully-furnished apartments with double beds and futons, fully-equipped kitchen, cleaning products, dining area, seating area, refrigerator, tea/coffee maker, TV, and ensuite bathroom with free toiletries. Complimentary Wi-Fi is available throughout the property. Great for all kinds of travelers. A sub-neighborhood of the city’s Downtown area, the Central Business District is surrounded by hills, Elliot Bay, and reclaimed lands. 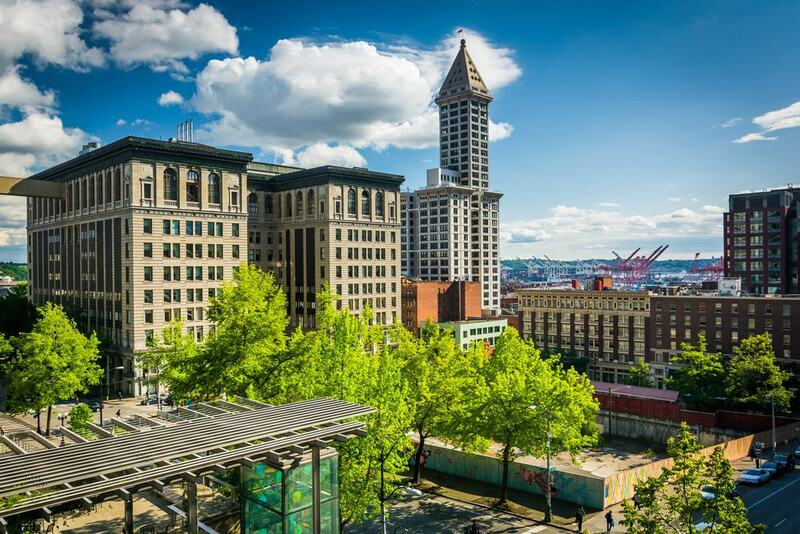 A relatively confined business district as compared to several others in the country, the central business district of Seattle is home to several prominent attractions in the city as well as lavish hotels, fine-dining restaurants, and many green spaces. The neighborhood is also where you can catch a cruise to explore the vast waterfront of Seattle and the nearby Blake Island. Several fashion brands have their stores in the area, including H&M, Forever 21, Nike, and North Face. 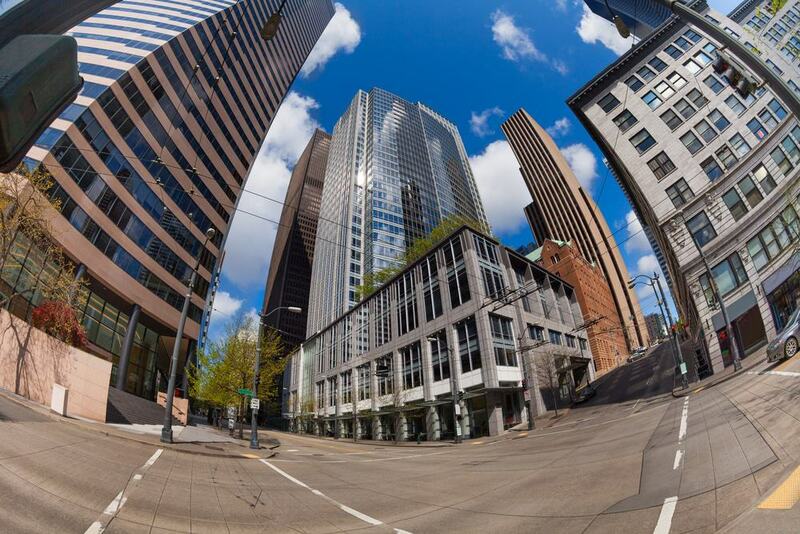 For a stunning view of the city, make your way to the Sky View Observatory at Columbia Center. Other Highlights: St James Cathedral, Seattle Public Library, Freeway Park, Paramount Theatre, Washington State Convention Center, and Pier 55. Hyatt at Olive 8 – An opulent hotel property within a close proximity of the Space Needle, the Pike Place Market, and the University of Washington, Hyatt at Olive 8 features well-appointed guestrooms, an indoor pool with amazing views of the city, a sauna and fitness center, free Wi-Fi throughout the property, an on-site restaurant, and a 24-hour reception. Perfect for all kinds of travelers. Grand Hyatt Seattle – Featuring modern guestrooms with newest amenities, a fully-equipped fitness center, a business center, an on-site steakhouse, multiple dining options, a fully-stocked bar, a health club with spa, whirlpool, sauna, and steam room, a conference room, and a concierge, the Grand Hyatt Seattle is just 10 minutes’ drive from the Space Needle. Great for all kinds of travelers. Hotel Theodore – Set in the heart of the Central Business District, Hotel Theodore offers well-furnished guestrooms and suites with extra-large double beds, air-conditioning, free Wi-Fi, safety deposit box, flat-screen TV with satellite channels, minibar, tea/coffee maker, and ensuite bathroom with free toiletries. Guests can also enjoy the on-site fitness center, restaurant, coffee bar, and in-room spa service. Suitable for all kinds of travelers. Once a major industrial hub in Seattle, the neighborhood of South Lake Union has transformed itself into a trendy urban neighborhood. With new businesses opening regularly, transportation and infrastructure undergoing massive improvements, and hip restaurants and bars sprouting up weekly, the neighborhood is a place where everybody wants to be, tourists and locals alike. South Lake Union is also home to Amazon.com’s new HQ, along with several other technology companies such as Microsoft and UQ Medicine. The best place to educate yourself about the history and culture of this neighborhood is the new Lake Union Park. You could also learn how to sail a dragon boat or carve your own. Other Highlights: Denny Park, Space Needle, Museum of Pop Culture, Museum of History and Industry, and Pacific Science Center. Best Western Executive Inn – Within a walking distance of several important Seattle attractions such as the Space Needle, the Puget Sound Waterfront, and the Pike Place Market, Best Western Executive Inn offers well-appointed guestrooms with latest amenities and services, free Wi-Fi around the property, a 24-hour gym, an on-site bar and restaurant, and an optional breakfast. Perfect for all kinds of travelers. Silver Cloud Inn – Seattle Lake Union – The beautifully-designed, spacious guestrooms at the hotel offers extra-large double beds, air-conditioning, flat-screen TV with pay-per-view channels, tea/coffee maker, refrigerator, seating area, microwave, and ensuite bathroom with free toiletries. A complimentary breakfast is served daily. Great for solo travelers, couples, and small families. Courtyard Seattle Downtown/Lake Union – Offering outstanding views of Lake Union, the lavish hotel features luxurious guestrooms with extra-large double beds, air-conditioning, free Wi-Fi, TV with cable channels, a seating area, a work desk, tea/coffee maker, and a private bathroom. Guests can also enjoy the indoor pool, the gym, and the whirlpool. Suitable for all kinds of travelers.